What privacy can you expect? TODAY we have taken a bit of a break. It's Sunday after all. But here is a bit of a site status update. The site's design has evolved a bit and it hopefully makes navigation a little better. SPAM is still a problem, but we do our best to keep it out of the sight of visitors. It's the result of a permissive policy that lets everyone publish a story, blog post, etc. 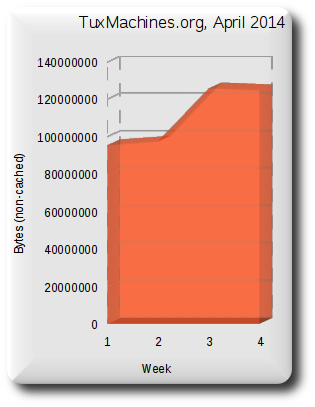 In terms of server load, we are still coping most of the time, but sometimes there's a flood of SPAM/rogue traffic that renders the server virtually unreachable. We use some ad hoc filters for to address this nuisance, but if we are away, then the site can be paralysed for a long time. We still need to find better solutions to that. Consider this common scenario. A directory contains multiple files that are named using a common convention: for example, image-001.png, image-002.png, image-003.png, etc. You want to rename the files to, say, upload-001.png, upload-002.png, upload-003.png, etc. 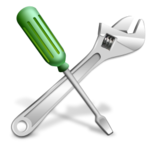 The coders among us can write a bash script to automate the process. For expedience, this post shows how to use the built-in rename command to achieve the same goal. 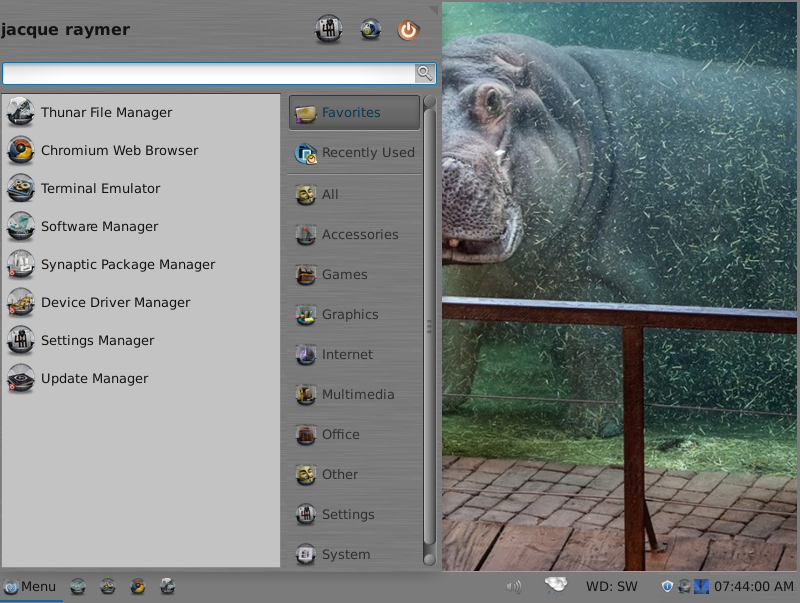 OMG what happened to CentOS 7 Desktop? THE WEATHER has been getting more pleasant and the news too is pleasant these days. Software patents are in a state of perpetual demise, Microsoft is dealing with its large-scale demise (layoffs also), FOSS is being adopted by very large nations (Russia and China are among them), the UK has adopted OpenDocument Format as the standard, and our family benefits from government migrations to FOSS (Rianne and I work through a FOSS specialist). 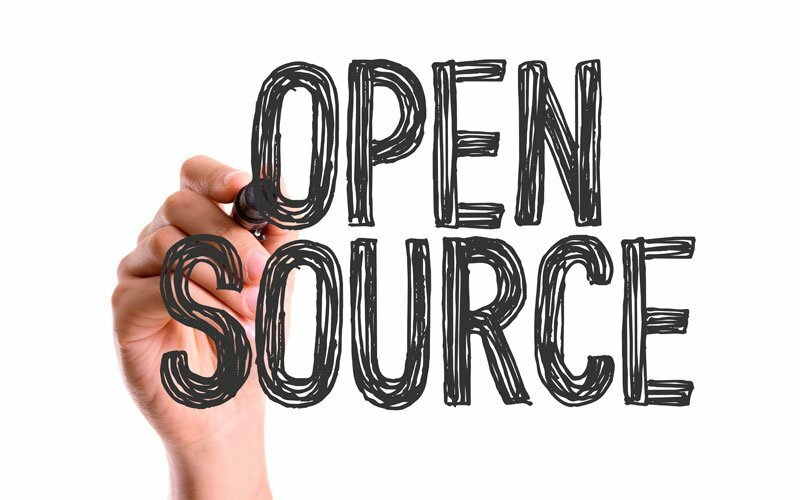 While it may seem like the FOSS world is quiet (judging by the volume of news), the truth of the matter is that FOSS professionals are busy migrating many systems from proprietary to FOSS. These people are committed to the cause not just with words but also with actions. TODAY was the last day of the log rotation. 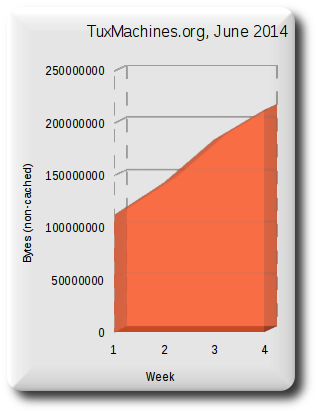 The uncached requests to Apache (bypassing Varnish proxy) exceeded the record by a huge gap (around 20%) and nearly reached 300 megabytes. 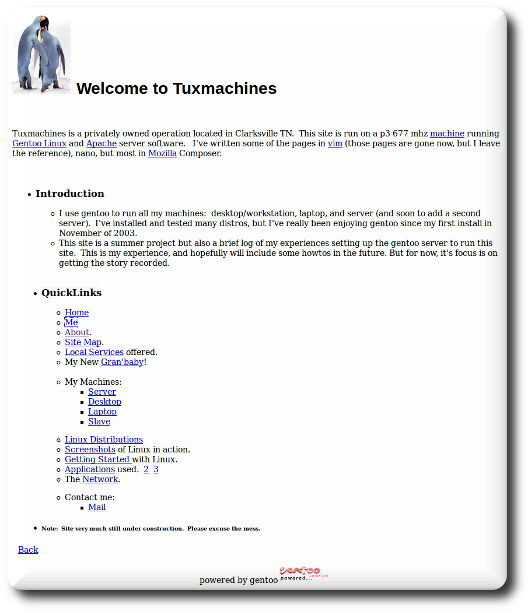 FIVE days ago TuxMachines turned 10 years old. Rianne and I were on holiday in Scotland at the time, but were still able to keep the site up to date, owing to a Wi-Fi connection which we had to work exceptionally hard for (an open Wi-Fi connection is hard to find in the UK, especially one that enables anonymous use). 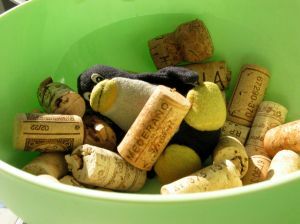 Running the site requires a lot of dedication because in order to stay up-to-the-minute TuxMachines requires non-ending research/survey of news. It's truly life-changing, potentially affecting the first hours of the morning and the little hours of the night. Sometimes it affects holidays and every couple of days I browse through news and post links in-between sets at the gym. Both Rianne and I are very dedicated to the site. SEVERAL days ago we visited Trafford Centre, which is a large shopping mall in Greater Manchester. The place is quite nice as it embodies very modern (yet classic) ornamental features, encompassing the best of outdoor and indoor decorations. It's all geared up towards consumerism, but there is also a nice cinema there. Now, here's the deal. Upon entering the mall one cannot help noticing that there is strong, universal Wi-Fi signal. Let's leave aside health implications. It's the same in other malls, such as the Arndale Centre near our house. It is also the same at airports, but if there is no payment needed for the Wi-Fi, then the user's identity is requested (if a payment is made, then the payment itself exposes the user's identity). Following basic principles and common sense, I gave some fake details so that I can use the 'free' Wi-Fi anonymously and log into Tux Machines (checking the latest), but I not help wondering, still. Given what we know about NSA- and GCHQ-centric plans for surveillance on in-flight Wi-Fi, what are the chances that users' identities are being requested not just for marketing purposes but also for surveillance? It is becoming very hard to access the Net anonymously now. The UK is cracking down on 'free' Wi-Fi, saying that it facilitates copyright infringement and our home hub, which is open for all to use (no password needed), keeps warning us that it is "not secure" (because it facilitates sharing). This is actively being discouraged if not forbidden. In all sorts of beverage-serving places (hot or cold, or alcoholic) and restaurants it is getting hard to gain anonymous Wi-FI access and the only way I've found (out of curiosity) to attain anonymous Wi-Fi use is First Class in high-speed British rail, provided one purchases the train ticket with cash. Similarly, it is getting harder to purchase groceries with cash here, at least without being penalised (not receiving a discount in exchange for identifying cards like Nectar). It sure seems like the very idea of anonymity here is becoming synonymous with crime. 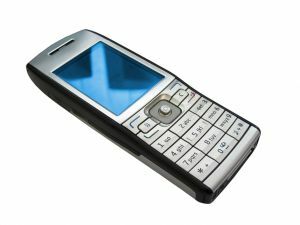 For experimental reasons I researched which shops in the UK still enable people to purchase a mobile phone anonymously. It's not easy, but it is still possible. Maybe it's no longer possible because I haven't surveyed the shops in almost 3 years. We are entering a new unprecedented norm as those in power gradually phase in scary forms of governance in society, where the assumption is that anonymity deserves to be maligned and people should always identify themselves everywhere (also enable tracking of themselves by carrying a mobile phone) so as to avoid looking "suspicious". That's the mentality of mass surveillance that people have become accustomed to (and rather apathetic towards) in the UK. THIS past week was not a bad week at all. There was lots to cover (without compromising focus and s/n ratio) and it was our biggest week ever (since we carried on from Susan) in terms of traffic, with as many visitors in 5.5 days as in the previous record for a week (7 days). 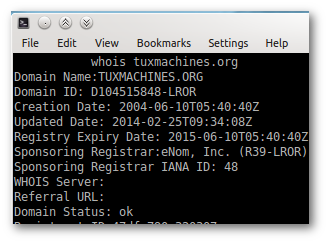 Based on whois, the Creation Date of Tux Machines is 2004-06-10 05:40:40, so we are exactly a month away from an important anniversary. We don't track visitors, we just look at the size of uncached traffic logs (no unique IPs, only one IP -- that of the Varnish server -- is shown for everyone) before they are deleted for good, which would be every 4-5 weeks (logrotate). Privacy preservation is a conscious decision for us. I am everything but a Google basher and I spent a lot of my life descending deep into research of Google foes, Google smear campaigns, lawsuits by proxy, and antitrust actions by proxy. I also advocate Android, but in recent years I have been increasingly concerned about the direction it is taking. I wish to share my latest concern. It relates to what the media characterises as "anti-theft" but is actually a facility to kill phones in a protest or convert them into hostile listening devices. Technology impacts human rights and those who control technology can be tempted to control humans. Google habitually updates my tablet. It is a Nexus 7 tablet which Google invites itself to update remotely (shame on me for not installing Replicant, but this device does not support it yet). It is not a 3G tablet and it does not have two operation systems (unlike mobile phones) or even a carrier tracking its location all the time. It's a purely Android device with no network tying. It is network-agnostic. I only bought it because in order to replace my PDA (for over a decade) I wanted a device that is not a tracking device. Phones were out of the question. Networks don't track the tablet. Google, however, is always out there, fully able to identify the connected user (latched onto a Gmail address because of Play), modifying the software without even the user's consent (the user is sometimes prompted to boot, without being able to opt out of the core update itself). The update in itself is not a problem. What's problematic is its effect. Following the latest Google update (which I was given no option to reject) I noticed that Google had added a remote kill switch as an opition. It was enabed by default. "Allow remote lock and erase" is what Google calls it and it is essentially working like a back door. Google and its partners in government are gaining a lot of power not over a smartphone but over a tablet. The significance of this is that not only phones should be assumed to be remotely accessible for modification, including for example additional back doors. What's more, some devices that were sold without this functionality silently have it added. According to the corporate press, the FBI remotely turns Android devices into listening devices and it is getting simpler to see how. NSA and PRISM destroy our computing. We definitely need to demand Free software, but we should go further by asking for audits, rejecting user-hostile 'features' like DRM, 'secure' boot, and kill switches. I gradually lose any remaining trust that I had in Google and even Free software such as Android.